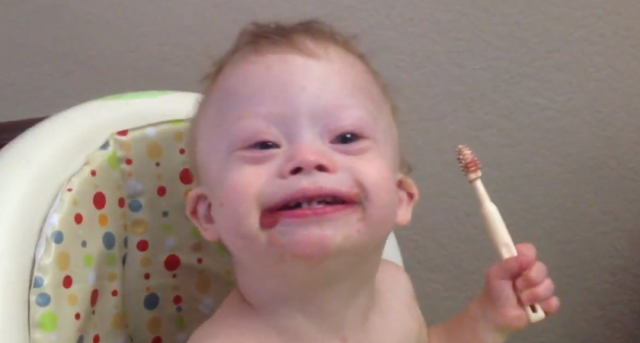 3 Ways The Nuk Brush Helps With Oral Motor Therapy For Children With Down Syndrome. Amazon is actually one of the best places to buy the NUK Brush and Z-Vibe. You can actually purchase both of them by clicking on the links below. Have you used the Nuk brush? If so what are some ways you are using it? For those of you in oral motor therapy what sort of tools are you using with your child? Leave a comment below and tell us about it. Thank you so much!!!! 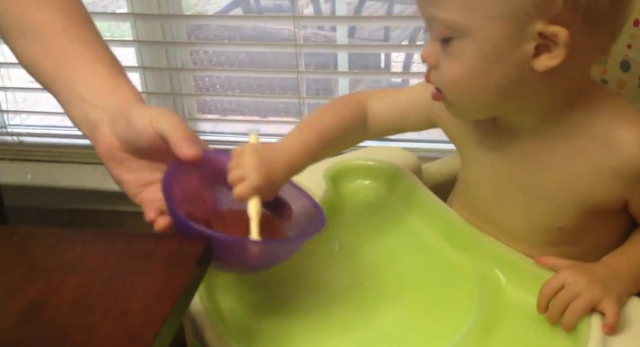 We have the nuk brush but I never thought to use it as a feeding utensil! Our ST also started seeing Liam at 6 months and this was one of the tools she gave us to stimulate his senses and focus on his mouth and closure around the spoon/bottle and swallowing etc. I let him use a soft spoon now but that is so hard for him to keep the purée on the end and it ends up being a gigantic mess! This is something ill be trying at lunchtime!! Thank you, thank you!!! Let us know how it goes!!! I love the Nuk brush, I am sure there are way more uses for it. I was just wondering how old Noah was at the time of the video. Our granddaughter, Alexandra is almost 21months. We haven’t tried anything like this. She tends to just throw away what ever you put on the tray. Thought this might be the way to go. Got an email asking for my email address. It is jabe28@cox.net. Not sure this is where you wanted it. I made comment this is replying to. The picture is of Alexandra in the kitchen sink. She is such a joy!! Hello. I just wanted to say how useful I find your posts. I am 27 years old & just had little baby Imogen last month, we found out she had DS at birth. It was a huge shock to us & I found your story when I was searching for info online. It’s great to hear from a parent rather a doctor who basically just gives you medical statistics. First of all congrats on your little one! We’d love to see a picture. Feel free to post it in the comments. Second, thanks so much for your kind and encouraging words about our blog! 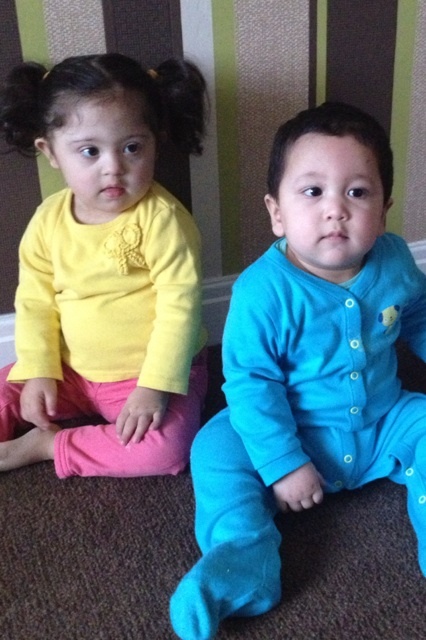 Does your little one have any siblings? Emma, you have made a great decisión with your partner. There are days when I want to point my finger and shout at people to explain to them who Lulea is. There are days when I am just filled with joy because we have been blessed with this amazing daughter. There are days when I am so overcome with these emotions from this ride we have been on that it is hard to pick myself up. There are days when I can’t stop staring at my girl and think wow, I was chosen to be her dad. 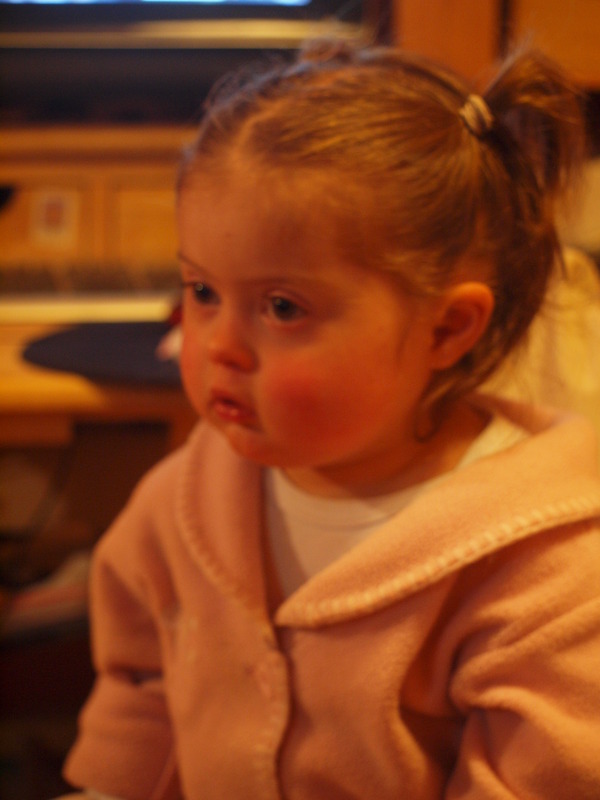 There are days when I feel like I need to educate everyone on who Lulea is…she is not Down syndrome, she is the most amazing little girl who will capture your heart and teach you more than you thought was possible. What great photos of Noah using his own brush! How thrilled you all must be. Our Lyra is 10 months old today. 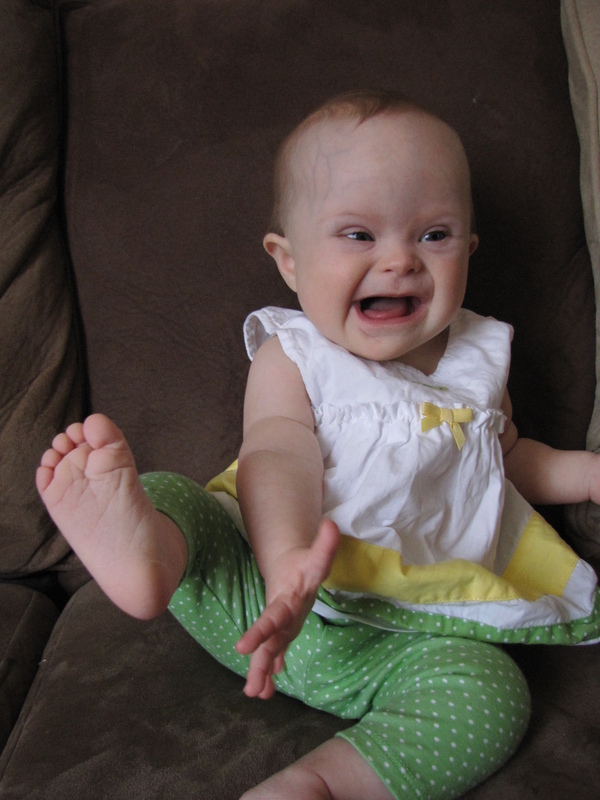 When she was three months old, she began speech therapy in an attempt to get her to take a bottle. We will never know if she didn’t take it because of her Ds or her personality, though we suspect the latter because she breastfeeds like a champ. Our speech therapist taught us to use an infant gum brush and a Z-vibe on the inside of her mouth. We also used the Z-vibe above and below her lips. After three months of daily exercises, Lyra still didn’t take the bottle and we decided to move on. This was the first of what I suspect will be a lifetime of wondering if something is directly attributed to Lyra’s Ds or her personality, though we strongly suspect the latter with the bottle. Nonetheless, these exercises “organized” Lyra’s mouth and at six months she easily began eating solids. We use a “Maroon Spoon” and, at first, approached her mouth from the sides to minimize tongue thrusting. But now we can fly that airplane straight into the hanger! While she still breast feeds, she now drinks from a Nosey-cup enough that I can leave her at daycare for a full eight hours, instead of just four. Along with baby food mixed with oat cereal, Lyra also eats off of our plates, including a variety of textures. She loves salmon and black cod! Looking back, I’m grateful Lyra did not take the bottle because it was the reason we saw the speech therapist so early and I truly believe the work we did minimized any other feeding issues. I hope it works well, let us know how it goes. We have a beautiful baby girl, Cassandra, 9 months old in this picture. She is almost a year old now. I love all the info & insight your blog provides, you 2 are awesome parents. Cassandra is eating solids & drinking from a sippy cup these days. She is happy & healthy and we couldn’t ask for more. 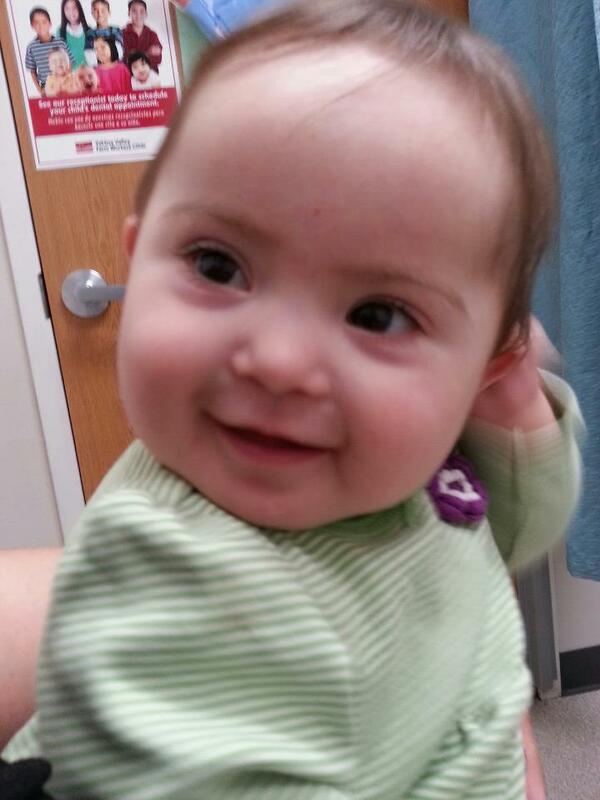 At 4 1/2 months old she had open heart surgery to correct some issues, but is doing great since. We thank god everyday. Cassandra has a sister, Ellie, 2 1/2 yrs old & a brother, Lucas, 10 yrs old in July. Keep up the great blog & I’m a huge fan on his Facebook page as well! I enjoy seeing Noah’s pictures everyday, he’s quite the super star! I love reading about Noah and your family. My Aunt told me about your site after my daughter, who is now 10 months, was born. Mya Early On teacher gave me a nuby brushing set a few months ago and told me to use it to help her learn how to fed herself. I wish I had listened to her sooner. We just tried it out on Monday and it was fantastic. Mya has a hard time bringing her hands to her mouth and holding onto anything for more than a few sec. But the nuby brush has an oval shaped handle that her hand fits right into and so she can’t drop it. She still struggles but at least she has a chance now. We also learned that she needs to have a good support system to help her sit when asking her to use her hands. I am totally going to try this, thanks for always educating and sharing your knowledge! I’m reading with great interest, both as a mother of two (my younger boy is 25 months old) and as a preschool educator. My boys don’t have Down Syndrome, but I can tell Lyra’s mom that although my older was happy as long as there was food, my younger has been extremely picky, to the point of refusing expressed breast milk from a bottle unless it came from daddy. Our babysitter had to spoon feed him his milk. 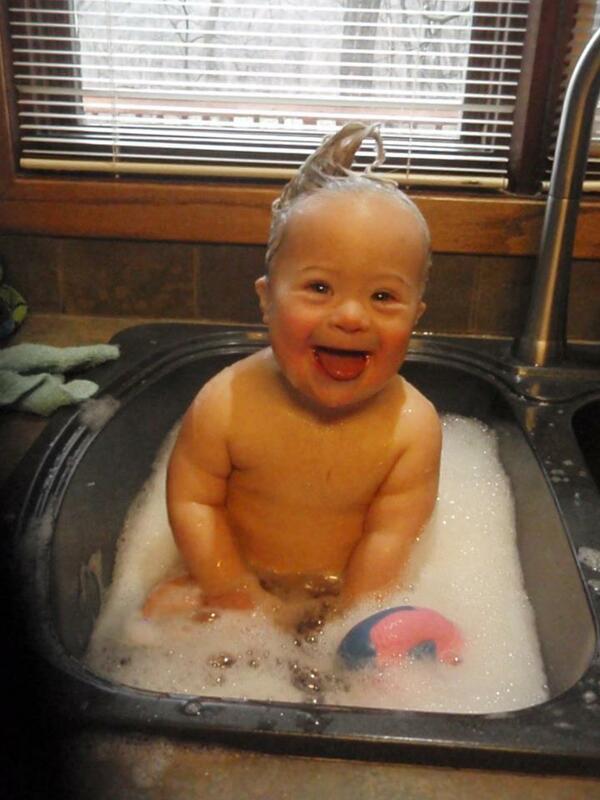 Just a quick note to congratulate all of you for your wonderful children, and a sweet reminder that “typical” children refuse bottles, make huge messes when eating… basically Downs children are much more typical than you can believe! 😉 Plus they are special. What a great post and thank you so much for writing it as I know that self feeding is a huge challenge for many of our kiddos! We tried the NUK brush and the Z-vibe with my son around 24mos and didn’t have much success as he was a real chewer and quickly destroyed both! Instead we used the ARK Grabber (firm model) which is also an oral motor tool and it’s shaped like a “d” so it was easy for my son to hold, dip it into his food and get it into his mouth. Deacon is now five years old and manages with a fork and spoon with no trouble and there isn’t much that he doesn’t eat (except for things he doesn’t like! 🙂 Good luck and I’m sure you already know this, patience is key! It seems that just as soon as I’m getting close to giving up on a challenge, Deacon accomplishes it wonderfully in his own sweet way! Ya got love it! Keep up with the wonderful log – you inspire so many with hope when they have otherwise so wrongly been given a bleak outlook! I sometimes wish that there was some way we could let everyone know how blessed we are to have these little angels among us! It usefull to pick up certain certain tips and tricks from you. Our beautifully daughter is about the same age as Noah and she (my wife) has been following you from the beginning. I am also a big fan of Noah and you now and will often ask her about the progress of Noah so it was nice when I asked her today about Noah she said you blogged after a little hiatus and all is well. Thanks so much for your kind words! Do you have any other children? My 18 month old doesn’t have DS, but he has sensory processing disorder, and as part of this he would not transition from formula to baby food, then from baby food to real food because of texture issues. We started with an speech therapist at 6 months until he was eating some baby food. As he got older and we discovered the eating thing was just one symptom of a larger sensory issue, we put him back with a speech therapist and an OT. He has both the nuk and the z-vibe to desenitize his little mouth and make him not so prone to immediately spitting his food out. When we started with it a month and a half ago, he was only eating baby food and a bottle. Now he is eating fish sticks, mashed potatoes, yogurt and even chomped on some pizza a week ago. We also use a cheap electric toothbrush to help desensitize him. Our next step is to get him to eat his veggies! I really think the nuk and z-vibe help a bunch! Our son (now 3) has DS. When he was a baby, we massaged his gums and did tongue lateralization exercises on him using a Nuk finger brush/gum massager (slips over your finger). Although he learned to eat table food and feed himself at about 14 months, he is still a somewhat messy eater with certain foods. And he started mouthing toys again a few months ago (even though he’s had all his teeth for a while). 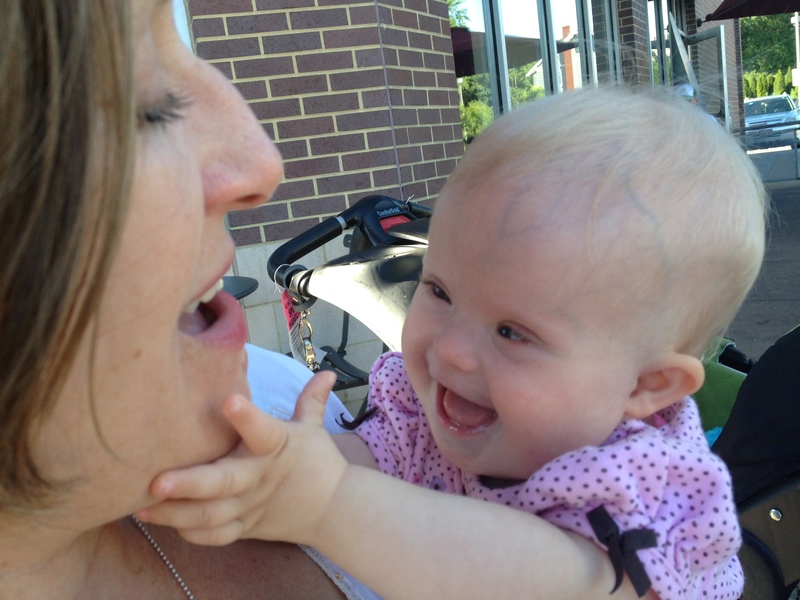 Consulted with a pediatric dentist, his speech therapist and OT, but none had any ideas. (The OT said that some kids are just messy.) But after some research online, I am thinking that perhaps he may have some decreased oral awareness. An article I read suggested oral stimulation with a gum massager can help kids with decreased oral awareness, so we will be revisiting the Nuk brush again. I am sharing this in case it is useful to anyone else out there…gum massage/oral exercises may be beneficial even after your little ones master feeding themselves! First of all, thank you so much for putting an effort to make this blog. I found your blog when I was searching for information on how to feed my 26 months old son born with DS. Until now me and my husband have problem feeding him. Every time we try to put the spoon into his mouth, he will turn his face away, or scream or simply push away the spoon. We tried to give him solid food, he chocked. We will try to use the NUK brush and the z vibe next and see if he makes any progress after that. Hi. I’m a pediatric OT that started an online therapy supply store called Full Range Therapy Supplies. I only stock items that I have used and believe are beneficial. I would like to stock the Nuk brush, but am having a hard time finding out who MAKES the brush. Obviously as a vendor I want to buy in bulk and be able to sell it at the lowest price possible. If anyone knows, I’d love to hear from you. Please check out our website. We do our very best to have the Lowest price on ALL of our products. Thanks again. Wow this is truly an amazing post full of usefull information for oral motor therapy. Hello! I have so enjoyed reading through these posts. I am an IBCLC (Intl Board Certified Lactation Consultant) and often work w babies who are having difficulties breastfeeding and/or taking a bottle. Something you may not know about, and something I notice in many of the children’s pictures, is that many are tongue tied, which makes feeding for all children difficult, not just those w DS. Some helpful pics are at cwgenna.com/quickhelp. Tongue tie affects a person all along the life line, and can be the cause of difficulties w breastfeeding, starting solids, speech, tooth decay, migraines, reflux, and more. Most importantly, it can lead to mouth breathing and snoring – implicated in many health issues. We also have a Facebook page for professionals who work w tongue tied/lip tied babies/children (and now adults) – docs, dentists, IBCLCs, SLPs, OTs, chiros, CSTs, osteopaths – all trading info and learning from each other on best practices to be helpful. If you have any interest in joining the page, please send me an email – we would love to have you join us!